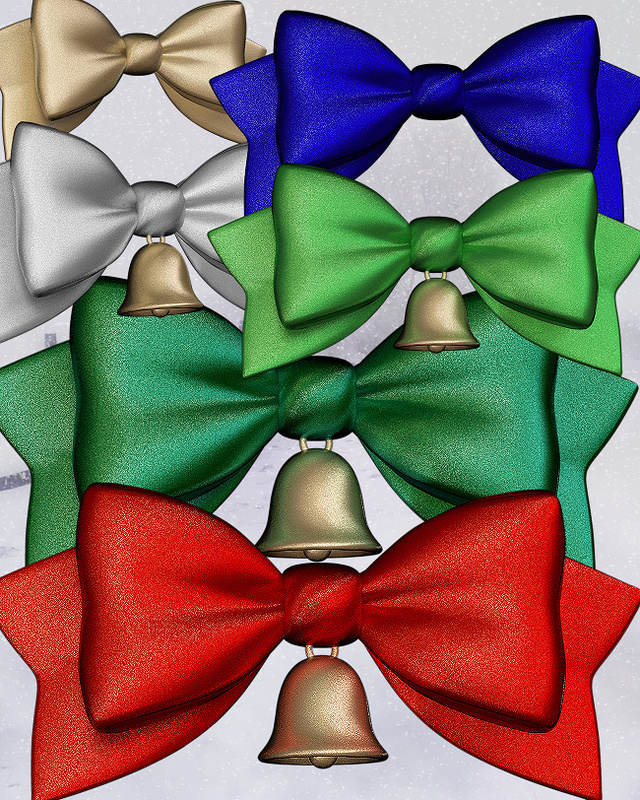 A trove of festive holiday bows in silk, satin, and glitter. Everything is better topped with a fancy bow, and these bows will fill the bill. They’re the perfect embellishment for your holiday design project. You’ll find countless uses for them and will treasure them for many years to come. There are red, blue, green, gold, and silver bows in this package. Some are silk, some are satin, and some have a glitter texture. 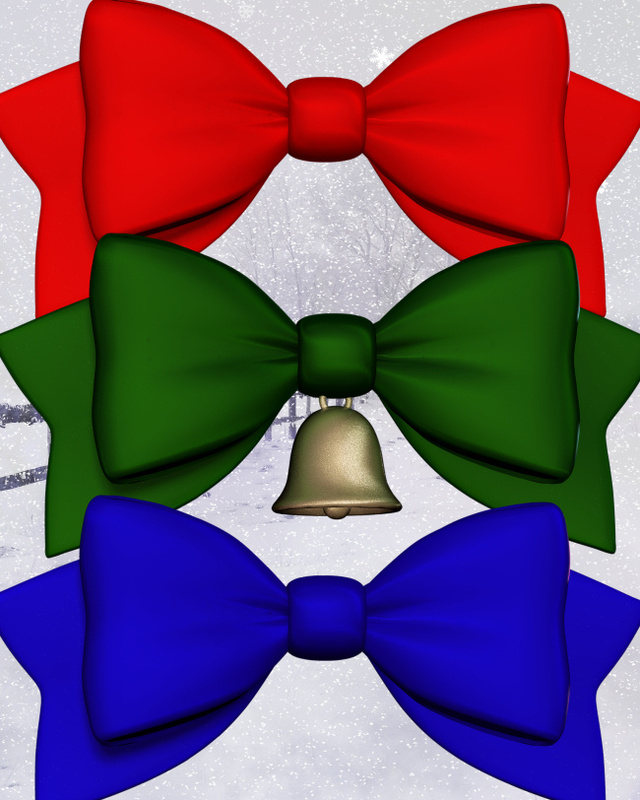 Some of the bows have bells and some don’t. There is a front and side presentation of each to make them more versatile. 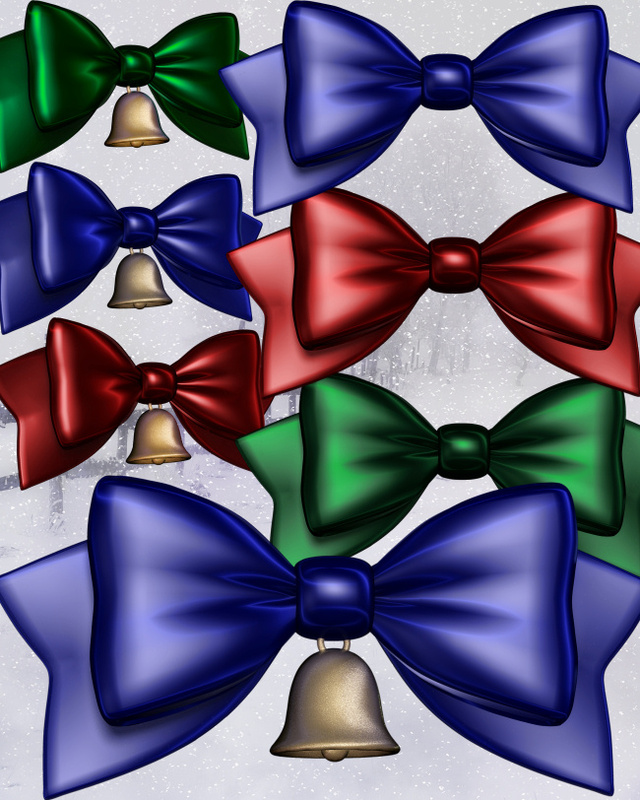 I love the vintage quality of the bows with the bells, and I think they’d be great as tree decorations, for holiday scenes, scrapbook embellishments, and so much more. They aren’t just for Christmas alone. They would be great for New Years, St. patrick’s Day, Valentine’s Day, and other holidays–wherever a pretty ribbon is needed. When you resize them, be sure to use the unsharp mask–perhaps the sharp mask for the glitter versions. I’ve also included the seamless tile on this page and two more color variations in red, green, and blue. For more Winter and Christmas themed graphics, don’t miss my: huge collection of Holiday Graphics. These graphics are approximately 2000 X 1200 pixels. All are 300 DPI, making them great for print projects. This package is five zip files, which are approximately 2-68 MB each.